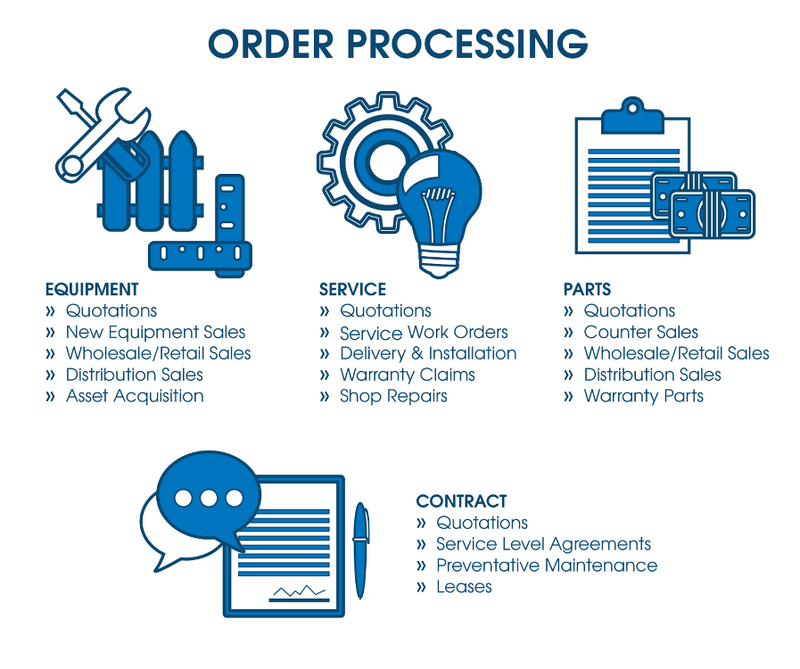 SERVTRAC® Order Administration provides the tools for easy tracking and management of quotes, pending orders and invoices for sales and service departments. SERVTRAC® Mobile and the contract module create orders that can be reviewed and invoiced with one click; streamlining the administrative processes. SERVTRAC® allows you to easily manage equipment quotes and orders. Integrated inventory features allow for sales of new and used equipment with the option to automatically assign warranty duration and warranty reserve by product line. At the time of sale, equipment records are created for tracking the initial installation, warranty and other ongoing service activities. 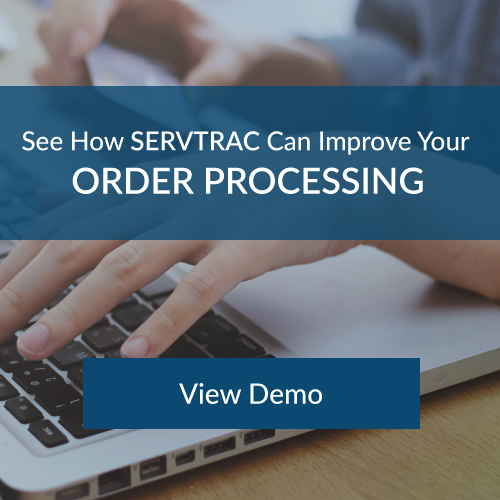 Service order processing is streamlined using SERVTRAC® and SERVTRAC® Mobile. Service call details including labor and travel hours, parts and other charges are captured at the time of service using customer specific pricing. There is no duplicate entry, mistakes are minimal, administrative overhead is reduced and the service-to-cash cycle is significantly shortened. Parts quotations and orders are easily managed in SERVTRAC®. Product Service allows parts personnel to manage parts lists from multiple customers with easy lookup of availability and pricing. Parts lists can easily be converted to a quotation and/or stored for future use. Parts sales orders can be processed quickly for sales at the counter or for shipment directly to the customer. Managing the billing of service contracts is easy using SERVTRAC®. Service contracts can be written for equipment at multiple customer locations and billed on one invoice. Flexible billing options allow for a variety of billing schedules. Contract billing is streamlined through one option to generate a group of contract invoices ready for immediate posting. An optional feature of amortizing contract revenue is also available.